A former dairy cow was so saddened by memories of her previous babies being taken away by a farmer that she hid her newborn calf to keep her from being taken, too. 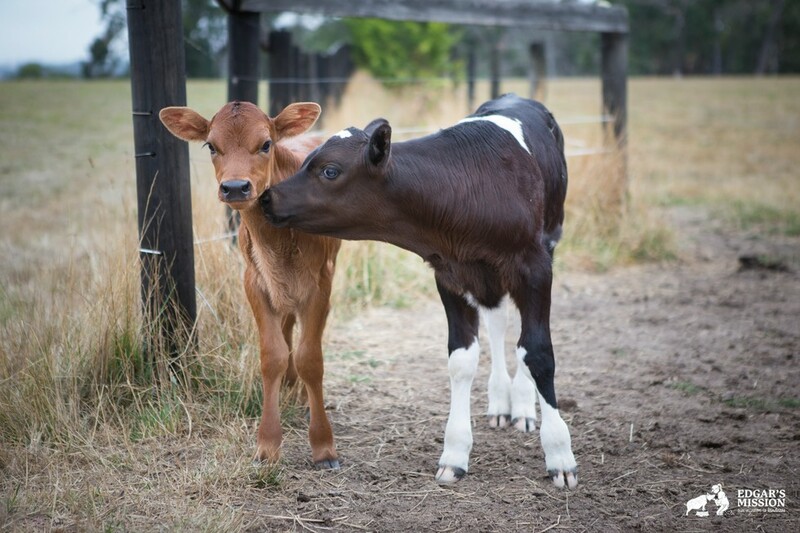 Clarabelle was rescued from a dairy farm in late November by the Australian farm sanctuary Edgar’s Mission. She was hours away from slaughter at the farm, where her milk production was too low to bother keeping her alive. When Clarabelle arrived at the rescue, volunteers discovered she was pregnant. Buzzfeed is going all in with experimental apps. After acquiring GoPop last week, its launching its first experimental app. As expected, it’s so full of cute animals, your heart may burst. Available today, the Cute or Not app for iOS is a mix of the old Hot or Not site and Tinder. You’re presented with a cat or dog and you swipe right if it’s cute and left if it’s not. I mean come on, you’re going to be swiping right about 95 percent of the time. Is Missan The World’s Oldest Living Cat? Missan, 29, may be the world’s oldest cat, according to its Swedish owner who says that aside from suffering from some minor back and kidney problems, there is no reason why her furry friend won’t make it to the grand age of 30. Missan the Swedish farm cat is turning 30 this spring and may be the world oldest living cat. By far. “I read an article about another cat that was supposed to be the world’s oldest, and I just thought to myself: ‘mine is older!’,” Missan’s owner Åsa Wickberg, from Karlskoga, told the TT news agency. An upper Manhattan woman slept outside in a makeshift shelter for two days straight — braving ruthless winds and bone-chilling temperatures — as she risked her life to save a stray dog from freezing to death. When temperatures in The Big Apple plummeted to record lows over the weekend, Denise Lauffer, 40, knew she had to do something drastic to ensure the survival of Charlie, a local feral dog who was in desperate need of medical care. She’s one regal beagle! A 15-inch, 4-year-old beagle named Miss P won the Westminster’s Best in Show at Madison Square Garden Tuesday night. She beat out a Shih Tzu owned by newspaper heiress Patty Hearst and a Portuguese water dog that is a cousin of the Obamas’ family pet, Sunny.